Being a blogger is seriously awesome. Not only is it a great community to be amongst, but having a genuine (ok, kinda) excuse to hit up Lush for the benefit of a 'haul', um, hell yah. 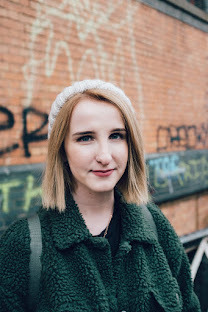 Today however I thought I'd share with y'all a wee post with several 'blogger problems' I've faced in the few years I've had my virtual space on the internet. I'm sure there's many I'm gonna be missing off here so if you're a fellow beauty addict then holla and let me know your first world blogger problems. Enjoy! The devastating moment your camera battery runs out two minutes into taking photos. When someone asks you 'what's a blog?'. Well... umm... oh crap?? You spend half an hour taking photos and you only like four. 'Popping' into Boots for cotton pads and coming out £30 poorer. Oops. The looks from strangers when you're taking outfit pictures in public. Getting carried away swatching lipsticks at the beauty counter. K, so my arm looks now resembles a rainbow.. I hope you liked this light-hearted post! What are your 'blogger problems'? Do you agree with any of the above? I 100% agree with all of these! Ha great post!! Ha, great post. Completely accurate!